If by now you haven’t figure out we’re huge fans of The Weeknd here, then you may have stumbled across our site from LOLcats or some other vacuous mental cyber hole and it would probably serve you best to back page button. We wouldn’t want you to get hurt, or see something you really don’t wanna see. OK, now if you’re still here then you’ll probably enjoy this. 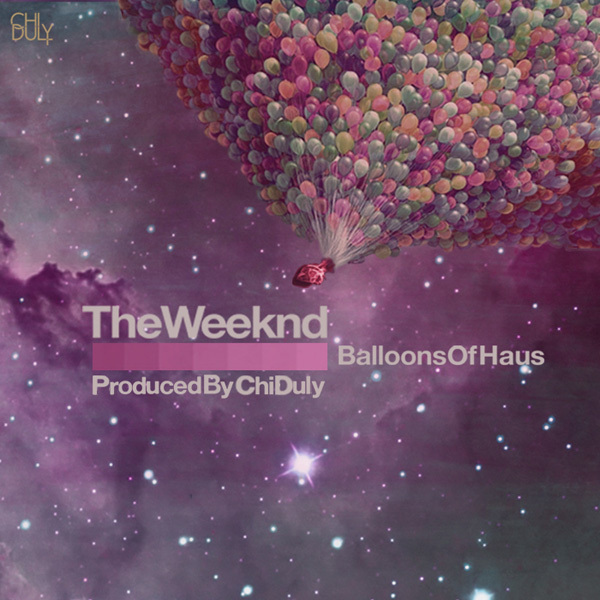 New York/Portland producer/DJ Chi Duly has hand picked tracks from The Weeknd’s 3 albums last year (which you can get HERE and HERE) and remixed them entirely, adopting aspects of various EDM genres to create the inversely titled Balloons of Haus. The end result is a great adaptation of The Weeknd (aka Abel Tesfaye)’s soulful crooning, taken to an entirely different level. So much so that Abel even tweeted his approval of the project. You can stream the 11-track mixtape below, and if you like what you hear, download Balloons Of Haus HERE.